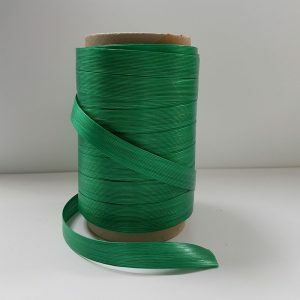 Baler Accessories – We stock an extensive range of baler accessories including baler strapping, twine and wire. 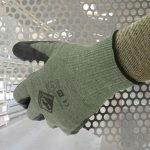 Maintenance Solutions – From bale trolleys to wire tie gloves, we’ve got you covered for all your maintenance needs. Stuffer Frames & Sacks – A low cost solution for collecting, segregating and bulking up polythene, strapping and paper. 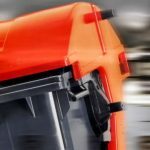 Wheelie Bins – Greenbank also supply a full range of 2 or 4 wheeled bins. All certified according to EN840. Today’s post is all about polystyrene. We investigate how your company can dispose of such waste in a green, cost effective and timely manner. We will also cover the aspects of making waste polystyrene into an additional revenue stream. Keen to find out more? Read on…..
Quite simply, it’s a versatile plastic made into a foam type material. 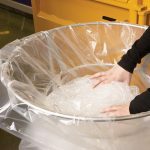 It’s a popular choice for manufacturing companies as it cushions and insulates products for sale. Surprisingly, its composition can be up to 95% air. At a guess, we would say ‘you do’, if you are reading this blog! On a serious note, many companies make use of this material. It’s ideal for insulating and keeping appliances safe. Further uses include food companies, automobile industries, roadway sectors, the NHS and more. The list is lengthy. If we look at the residential aspects, most councils will not allow polystyrene into the recycle bin. This does unfortunately, increase the average household’s carbon footprint, especially during festive times. Companies however have options. Let’s delve in further. Can I not just send polystyrene to landfill? Yes, you absolutely can – this is completely your prerogative as a business owner. Are you familiar however with the associated costs of choosing this method? Do you understand the environmental impact attached? Would you be interested in investigating more cost effective and greener methods? You can actually make money from recycling polystyrene! and this method is fast becoming an additional revenue stream for many companies. Using a polystyrene compactor is not only a space saving, environmentally, money saving option. By compacting waste into manageable bales/blocks, these can be sold on to recycling companies who will put them to good use. So, you are a company and have vast amounts of polystyrene. Let’s go through the recycling stages. Familiarise yourself with these cost effective machines. Capable of compacting large amounts, compactors offer a low maintenance option and can be used continuously. Having carefully researched the machines available, the next step is of course to purchase the best one to suit your business needs. At Greenbank Waste Solutions we have three options. SC1000: A low maintenance option that can handle both wet and dry polystyrene. The Sc1000 is easy to operate and has an average compaction ratio of 40:1. SC2000: This option has the capability of compacting large amounts of material, handling up to 90kg of EPS per hour (density depending). Also low maintenance and easy on space, the SC2000 has easy to touch screen controls. SC3000: The largest of the three mentioned models, the SC3000 will handle up to 250kg of EPS per hour. Easy to use, this machine works quickly and effectively. If as a company, polystyrene contributes to large volumes of waste, a compactor is by far the best option. Low maintenance features mean the job of loading is not an arduous task and can be carried out quickly and effectively. The end result offers a sellable bale. How much can I sell a bale for? This is something you will need to research, but on average you can make around £200/tonne. Based on the weight mentioned, this will confirm as to whether or not compacting is a feasible option for you. Why not discuss polystyrene compactors further with our experts? We have a wide industry knowledge and are ready to help companies take the next steps towards recycling and additional revenue streams. With the new GDPR regulations do you require confidential shredding? When you need effective waste management with great service, speak to Greenbank. We offer solutions that make waste management more efficient, saving your company time and money. Company Registration No. 0C 374593.